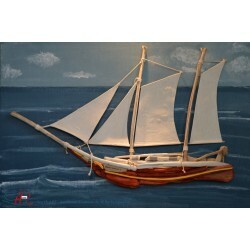 Nautical Wall Art There are 14 products. 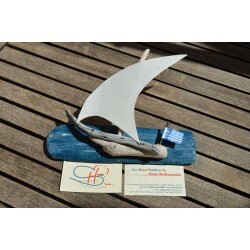 Greek traditional sailing boat of the type “Perama” made of sea driftwood, with sail, in red colour, with yellow & white details, mounted on hand-painted marine ply panel. 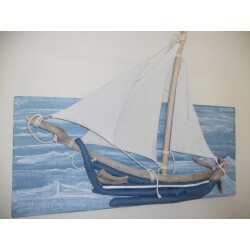 Sailing boat from sea driftwood in blue colour with white details, with sails, mounted on hand-painted marine ply panel. 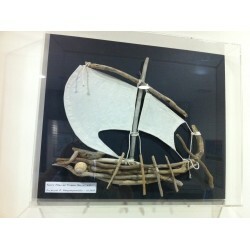 Boat made from sea driftwood, in natural colour, mounted on a hand-painted panel. 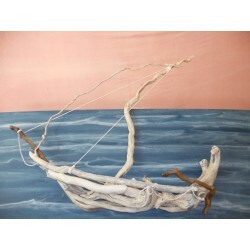 Sailing boat from sea driftwood in natural colour, with sails. 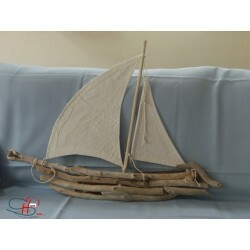 Ancient Greek solitary - boat of the type “Moniris” (6th century BC) made of sea driftwood in natural colour, with sails made of canvas. 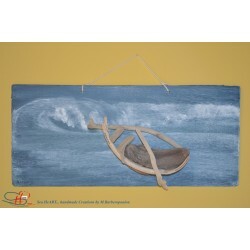 This artwork is mounted on a Plexiglas frame, with wooden back covered with dark-blue fabric. Ancient Greek solitary - boat of the type “Moniris” (6th century BC) made of sea driftwood in natural colour, with sails made of canvas. 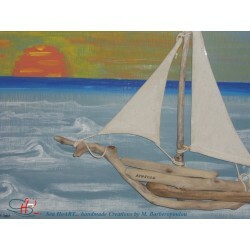 This artwork is mounted on a hand-painted panel made of marine ply wood and is hand-painted with water soluble colours. 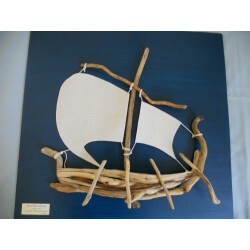 Sailing boat from sea driftwood in natural colour, mounted on hand-painted marine ply panel. 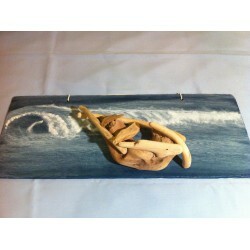 Boat made of sea driftwood mounted on hand-painted marine ply panel. 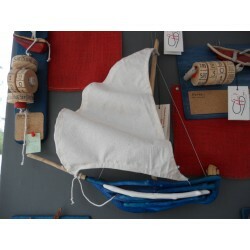 Greek traditional boat of the type “trechantiri” made of sea driftwood, with sail, in blue colour with white details. 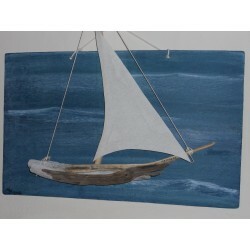 Sailing boat mounted on a hand-painted panel, made of sea driftwood in natural colour.